The budget proposal President Barack Obama sent to Congress April 10 includes $11.7 billion in cuts to federal crop insurance subsidies over the next decade. The White House estimates the federal government will save $37.8 billion over the next 10 years by combining those cuts with limits on direct farm payments and reduced spending on conservation programs. The proposal argues that crop and livestock productions have reached all-time highs, making it difficult to justify income support payments to farmers. The budget summary said the farm sector continues to be one of the strongest sectors of the U.S. economy, with net farm income expected to increase 13.6% to $128.2 billion in 2013, which would be the highest inflation-adjusted amount since 1973. The federal government paid roughly $10 billion in crop insurance subsidies in 2011 and 2012, according to the U.S. Department of Agriculture's Risk Management Agency. Under the White House proposal, crop insurance subsidies would drop by $513 million in 2014, with cuts increasing annually from then on. But the administration's pitch to slash crop insurance subsidies comes at a time when crop insurance writers have been hit with three consecutive years of record crop losses. As of Jan. 28, the U.S. Agriculture Department reported indemnity losses paid by crop insurers in 2012 have topped $12.3 billion "so far." Losses for 2012 already exceed the previous record of $10.8 billion set in 2011. Some estimates have put potential indemnity losses for 2012 at roughly $20 billion. According to Swiss Re's latest "sigma" study, total crop losses were $16 billion in 2012. Record heat and extremely dry weather conditions in the United States led to one of the worst droughts in recent decades, affecting more than half of the country. Severe crop failures in the corn belt resulted in insured agricultural losses of $11 billion, including pay-outs from the federal multiperil crop insurance assistance program. Other estimates have said total crop insurance indemnity losses could reach $20 billion. Losses hitting corn, soybean and wheat crops, three of the more stable agricultural products, have prompted crop insurers to push back on USDA efforts to cut premiums paid by farmers. USDA announced Nov. 28 that crop insurance premiums were likely to decrease for many corn and soybean farmers because of their ability to withstand the significant losses that affected other crops in recent years. However, with the drought showing that those products aren't immune to significant losses, crop insurers have said lower premiums would hurt their ability to manage the risk associated with crop insurance. The industry has said that it doesn't make sense to change the program because it has proven itself during a series of tough years. "Why take a chance that reduced subsidies might put crop insurance on weaker financial footing?" the industry has argued. In February, Lambert Muhr, head of Munich Re's special financial risks in the company's agro department, said the losses in 2012, "have underscored once more the importance of a sustainable, reliable framework of a public-private partnership as the only way to run agricultural insurance successfully with a continued high participation of farmers". The White House budget proposal also comes as Congress remains deadlocked on a deal to pass a five-year extension to the Farm Bill. The current Farm Bill was set to expire at the start of 2013. However, Congress opted to give itself an additional nine months to hammer out a long-term extension package as part of the so-called fiscal cliff deal struck between Republicans and Democrats in January. 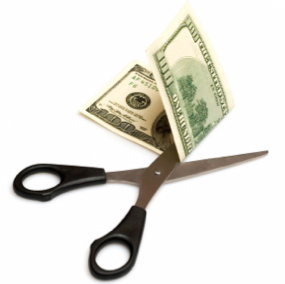 Supporters of competing bills in the House and the Senate received bad news last month when the Congressional Budget Office announced that it was lowering its savings estimates for both bills by roughly $10 billion. The five-year Farm Bill extension passed by the full Senate in June was originally expected to reduce spending by more than $23.1 billion over the next 10 years. But in a March 1 letter, CBO Director Douglas Elmendorf said new data show that the bill is likely to save closer to $13.1 billion. Elmendorf attributed the change to higher commodity prices, which are likely to increase income guarantees to farmers and last year's historic drought, which raised the estimated cost of the livestock disaster assistance program. The top five writers of U.S. crop multiperil in 2011, were Ace INA Group, 19.14%; QBE Americas Group, with 14.92%; Wells Fargo Insurance, with 14.68%; Great American P&C Group, with 8.56% and Allianz of America with 7.87%, according to BestLink.